Talking With Giants! is a work that truly comes from the heart from gratitude and a true desire to help you feel the successes available to those who live from a place of service and generosity to others. It came from a desire to support a particular charity (Habitat for Humanity) at a time when the author s personal financial resources were not available so another vehicle had to be created. It evolved into an understanding of how amazingly blessed we all are and that because of those blessings; we all have the opportunity to do more for others. 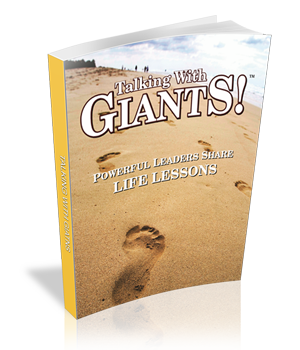 The idea behind Talking With Giants! was simple: cross-pollinate the influential people the author knew personally and their causes, with the goal of furthering them all. Giant Cynthia Kersey s passion to help Habitat for Humanity is immensely powerful, but no less so than the passions of other Giants, such as Jack Canfield, Mark Victor Hansen, Ed Young and Dr. Fabrizio Mancini. What started out as an idea to support Cynthia in her plea for Habitat for Humanity, became a realization that we all can do so much more for so many! Thus, the invitation to take action. Because of whom you are, and your commitment to support those less fortunate, it simply makes sense to make you aware of this book and the desire behind it. Hopefully, Talking With Giants! will provide you some thought provoking tips and techniques towards greater success in your life. Equally as important is awakening the inner desire of all that read it to give more back to others. Raising awareness to any issue and then taking the risk to act on it is the formula for true growth in all aspects of life. Giants understand another thing quite clearly giving comes in advance of getting first not later when we have more. It is a mindset and heartset that precedes success in most cases. They live from a place of understanding that generosity builds prosperity. A significant portion of the proceeds generated by Talking With Giants! will be shared with the various charities and organizations listed in the book starting on page 159. Beyond that, the book can be used as a tool to raise both money and awareness for the cause that is near and dear to your heart. It could be used as a Thank You gift for a donation or simply a gift with a solid message for the Holidays. Any and all uses that ultimately raise awareness or funding are fair game. 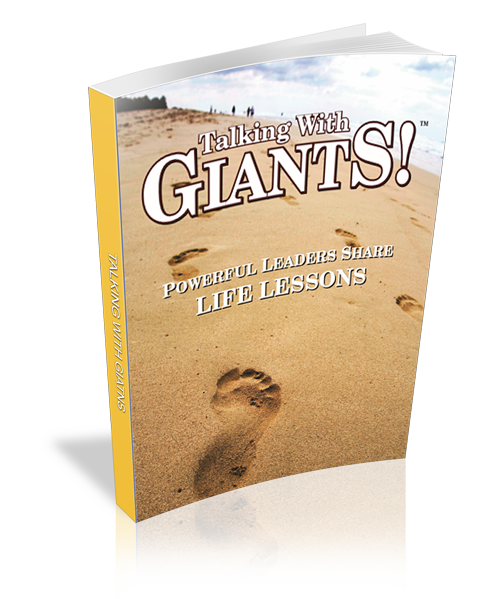 Talking With Giants! has a goal of helping you personally and your honorable designs philanthropically.